Lovely little scope with a oil beaded object cylinder. 8-point image. 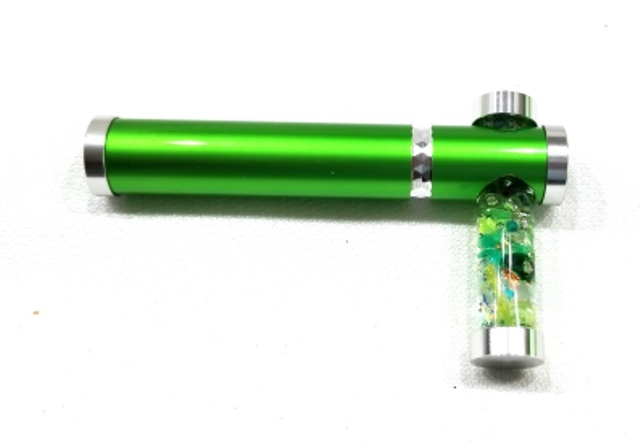 Bright green aluminum tube is 3.5" long x 5/8" diameter. Oil object cylinder is 2" long x 1/2" diameter. Available in other colors.